I think I’ve reached “Peak Fatigue” this week. I could not be more tired. 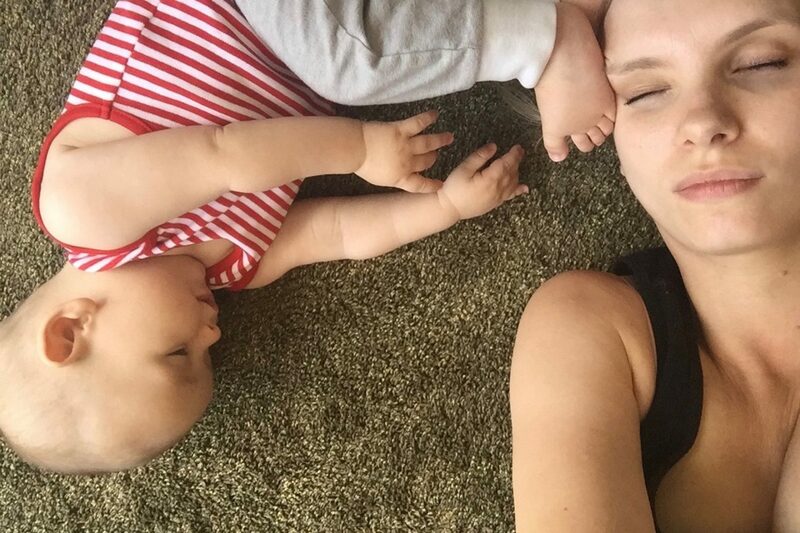 I know we’re not supposed to moan about being tired – let’s radiate positivity! – but when you feel as though you’ve been awake since November 1998 and your eyeballs seem to have been replaced with hot pebbles it’s difficult not to mention it. And anyway, I see people whining on about jet-lag all the time. Jet-lag is temporary! I’m on the eternal hamster wheel of sleeplessness! I’m actually now a certified expert on “ways to try and stay awake” (Rightmove app, full fat Coke, Kindle screen on full glare) and “ways to quickly fall asleep” (bath, mini Magnum, Kindle screen on low glare) and can no longer remember what it’s like to sleep for more than three hours at a time. I think that almost anything feels nice on your hands when you take the time to massage them – firm pressure on the palms, or at the base of the fingers, or pulling the fingers to release energy – but I took it upon myself to get some proper tips. I asked Dr Kaushal, an Ayurvedic doctor, to give me some pointers. 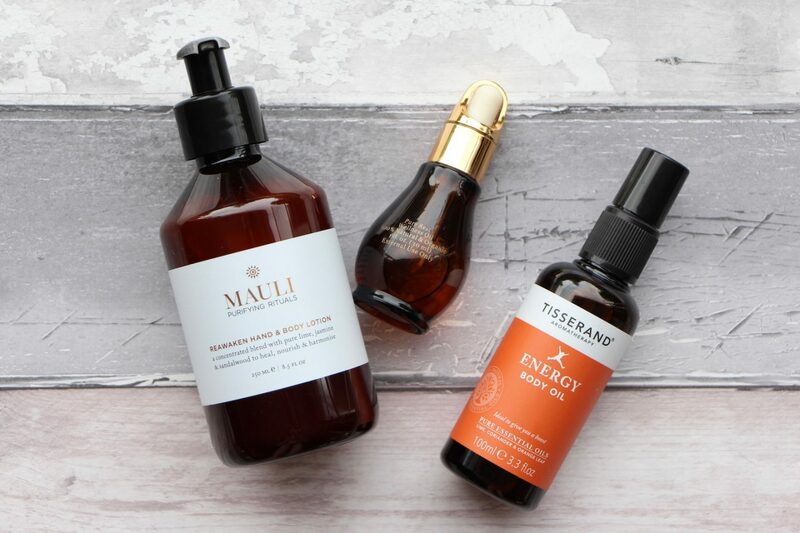 He’s the father of the co-founder of Ayurvedic beauty brand Mauli – they make the most exquisite body oils and creams and washes that really lift the spirits quite considerably. 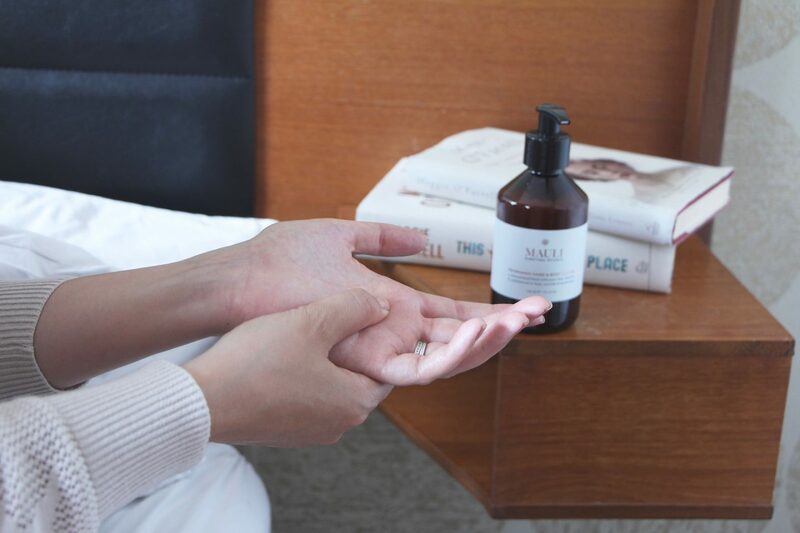 I used their Reawaken Hand & Body Lotion for this massage – you can find it online here. Here’s Dr Kaushal’s guide to massaging the Marma points in the hands to increase energy. It’s quite lovely to take a few minutes out to do this, hand cream or no, if you spend long periods of time typing on the computer or (even worse, I find) replying to emails on your iPhone. “Marma in Sanskrit denotes the hidden energy/anatomical junction points on the body and face where various muscles, bone and nerve tissues connect and this makes them highly sensitive and equally highly receptive to touch. Massaging these points is an integral part of Ayurvedic medicine and helps to release stagnant energy. In ancient times, marma points were referred to as ‘bindi, which is a dot worn on the third eye, symbolising higher consciousness. There are 107 major marma points within the body, of which the skin is considered the largest. To gently massage these points is like flicking a switch that releases blockages and increases energy. Within the hand, I find my clients most benefit from the points called Tala Hridaya and Kshipra. I recommend marma points are massaged using gentle, brisk, circular motions with either the thumb, index or middle finger. Massage in a clockwise direction if using your right hand and anti-clockwise if using your left. The Tala hridaya is located in the palm, just under the middle fingers, below the knuckles. This point controls lung and heart functioning and helps ease stress and anxiety, while boosting strength. Press on this point with the thumb of the opposite hand. Notice when you feel a knot or tenderness – that’s your indication you have found the right point. Massage there in small circular motions. Give yourself 3-5 minutes on each hand. The kshipra marma point is found between the thumb end index finger and between the first and second toes. Massaging these points with a medium to firm pressure using upward motions helps bring release for those who suffer from headaches, sinus issues and flu like symptoms”. Talking of toes, I do really like this oil* from Uma (middle of photo above) for a spot of foot massage. They have a lovely little application sequence they recommend, but I don’t get a chance to do it often, and actually haven’t done it since having Ted because it sends me into a total stupor and I tend to sleep like a log for about ten hours! I use the Pure Rest Wellness Oil and I think that it comes in a different bottle now, but same lovely oil inside. On the opposite end of the scale, for a bit of an (affordable) energy spritz then Tisserand’s Energy Body Oil is suitably zesty and cheerful. I just tend to use it on arms and chest, because that’s where I can smell it, but it’s light and lovely and fine to use all over. Find it online here* – it’s £9.95. © 2018 A Model Recommends®: all opinions are my own and any sponsored or paid posts will always be clearly marked as an AD in the title. I accept press samples and receive product and services to review as part of my job. *Outbound links are affiliate links, which means that I receive a very small percentage of any sale made. This does not affect my content in any way and does not cost you anything, but you are most welcome to Google the products on a new page if you prefer. Please see here for full “about” section and disclaimer. A Model Recommends and Ruth Crilly are registered trademarks.